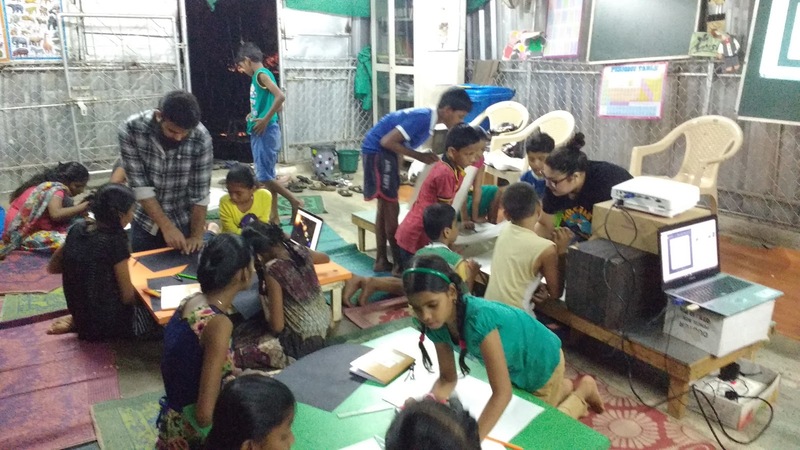 After 2 workshops, orienting children about solar system, the workshop concludes with art activity. 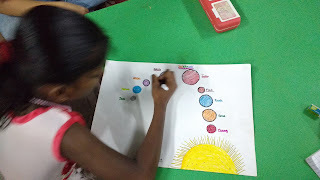 Children prepared sketch of Planetary System. 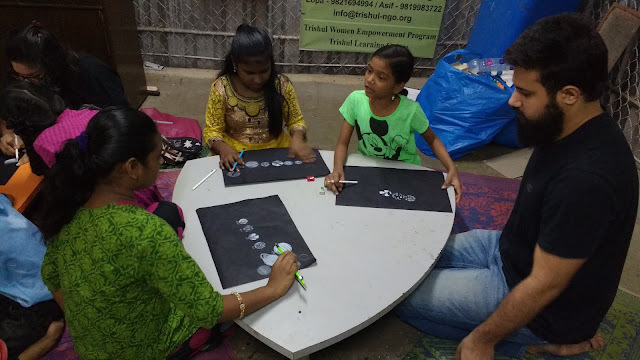 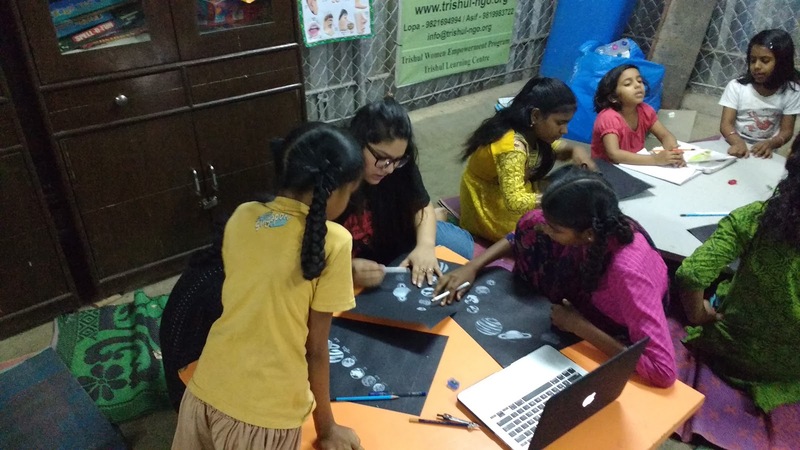 Session 3: Hands-on art session where children drawn the solar system on their own under guidance of faculty. 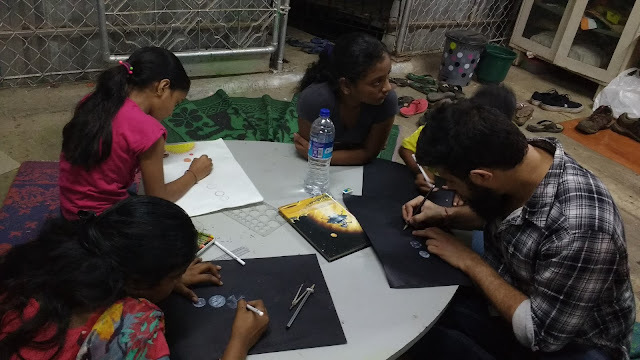 Session 4: Concluding the workshop and putting up the work for display for future reference.